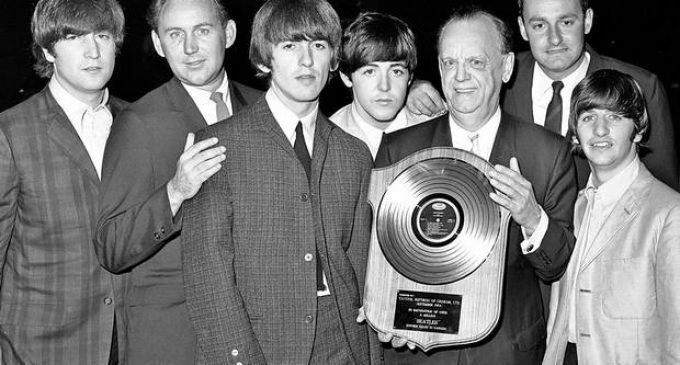 He’s the man who first brought the Beatles’ music to Canada – a year before America embraced Beatlemania. He then opened the doors for other British Invasion acts and went on to sign the first wave of Canadian pop artists during the 1960s, including Anne Murray and Edward Bear, in his capacity as Capitol Records’ artists and repertoire (A&R) executive in Canada. Along with issuing Beatles’ singles, beginning with Love Me Do on Feb. 18, 1963, and hitting No. 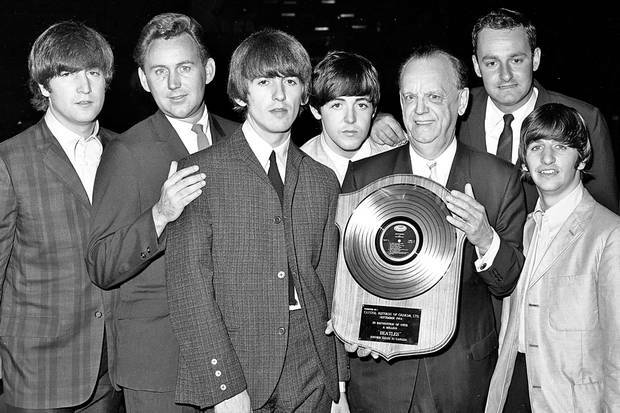 1 with She Loves You by the end of the year, Mr. White designed and compiled several Canadian-only albums by the Fab Four, including Beatlemania! With the Beatles, Twist and Shout and Long Tall Sally. At his instigation, Capitol Canada also released singles and albums by such other English bands as Gerry and the Pacemakers, the Dave Clark Five, the Animals, the Hollies, the Yardbirds and Manfred Mann. With his company’s coffers filled thanks to that success, Mr. White went on a mission to invest in domestic talent, well before other labels. His first Canadian signing was the Ottawa band the Esquires, followed by the Staccatos (later called Five Man Electrical Band), Alberta-based acts Barry Allen and Wes Dakus and Toronto’s Malka & Joso folk duo and rockers Jack London & the Sparrows (which became Steppenwolf). But his biggest Canadian success was undoubtedly Anne Murray. Find out about “that barefoot girl with the extraordinary voice,” he instructed Capitol’s Maritimes salesman, after seeing her perform on CBC’s Singalong Jubilee. Discovering that Ms. Murray was already signed to a small independent Toronto label, Arc Records, Mr. White welcomed her and producer Brian Ahern into his office when they came looking for a better deal. Says Ms. Murray: “Paul gave us everything we asked for. Even when Brian said we’d like strings on the next album, Paul said ‘Sure, okay.’ We couldn’t believe our ears.” After Snowbird became an international million-selling hit, Ms. Murray released another dozen albums at Capitol under Mr. White’s direction, earning 10 No. 1 singles, 14 Juno Awards (she eventually won a total of 24) and the first of four Grammys. Born on March 6, 1933, in the seaside town of Weston-super-Mare in southwest England, the only child of George and Ruth White, Paul grew up dreaming first of becoming a professional cricketer and then later a journalist. After a brief stint as a cub reporter, Mr. White immigrated to Canada in 1957 with the hope of landing a job at one of Toronto’s three newspapers. When that failed to materialize, he wound up at Capitol Records, then in Toronto’s Queen and Broadview neighborhood, loading and unloading boxes of heavy 78 rpm records. Good-humored and hard-working, Mr. White was soon elevated into the label’s promotions department. Always on the lookout for what might have sales potential in the Canada, Mr. White listened to more than 50 samples a week from Capitol’s English headquarters. He inherited the A&R position in 1960, when his boss asked him to compile an album of music by late English saxophonist Freddy Gardner. Aware that adults were buying albums while teenagers were buying singles, Mr. White began issuing 45s by British pop stars such as Cliff Richard, the Shadows and Helen Shapiro. The day he auditioned the Beatles’ Love Me Do and decided to release it was auspicious – although the single only initially sold 170 copies. Mr. White followed it with the group’s Please Please Me, which sold 280, and then From Me to You, which inched sales up to about 300. But Mr. White persisted in his belief that this English group had potential, using his nationally distributed promotion newsletter, The Sizzle Sheet, to urge radio programmers across Canada to spin the records. Recalled Mr. White: “When She Loves You got released, things went berserk.” The rampant success prompted him to reissue the earlier singles to meet public demand.